Does your business need a Twitter account? While it’s easy to see that Twitter is a very popular social media service, and lots of companies, celebrities, and popular personalities have one, there’s no “rule” that says your business has to use one. There is, however, a difference between having one and using one. If your business, product, or service has a trademark or brand name that you need to protect and don’t want someone else to use, then yes, you should create one. If the name of your business is “Albert’s Cupcakes” then “@AlbertsCupcakes” is the Twitter name you want. Having something like “@Cupcakes” or “@ChocolateCupcakes” or even “@YummyCupcakes” would be great but unless you were thinking ahead, you’re not going to get those accounts. If someone else has your name you are in for an uphill battle. Unless you have trademarked the name, you will have a hard time obtaining the account from someone else. 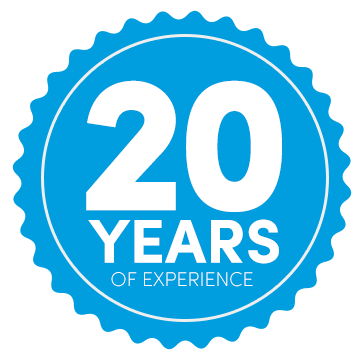 While Twitter does have a form to start the process, many have found the experience to be very challenging. The question of having a Twitter account and using a Twitter account, are two different things. You need one to protect your brand and keep someone else from abusing it, but using your account to connect with your customers or fans depends on your particular business. Do your customers use Twitter to connect with one another, share news and information, and talk with one another? If they do then it’s probably a good place for you. If your business deals directly with consumers, it’s also a good idea. While B2B accounts on Twitter aren’t as common, they are still used. 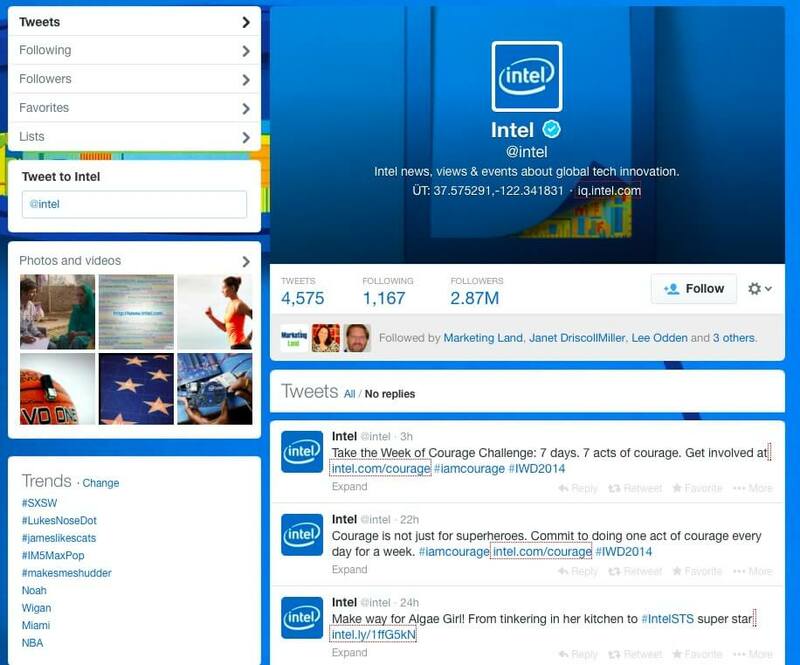 A good example is @Intel, who has a nice mix of company news, philanthropy, inspiration, humor, and pop culture. How Often Should I Update My Business Twitter Account? 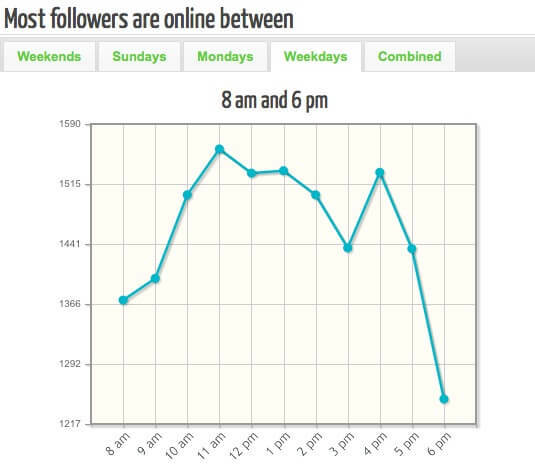 How often should you update your small business Twitter account? The answer depends on your business, and more importantly, your customers interest and “appetite” for your tweets. Unlike Facebook, sending out multiple tweets per day is completely acceptable and completely normal. The one thing to keep in mind though is you don’t want to tweet out too many self-interested posts in a single day, or all bunched together. As a good starting point you’re probably safe starting in the 3-6 non-response tweets per day (a response tweet is one where you are talking or responding to someone else’s tweet). You’ll want to schedule these at times that best match when your audience is online. Tweriod is a service that can help you figure that out (they have a free and paid option). One of the unintended uses that has emerged is it being used for customer service. LOTS of customers like to use Twitter to hold a company’s “feet to the fire” by engaging with them about their problem on a public forum. While it may not be something you like or want to do, ignoring those type of tweets never end well. If you can answer or solve their issue quickly and easily on Twitter by all means do it, it makes you look like the “good guy”. If you can’t, then you want to take the issue offline to Twitter private direct messages, or into your normal customer service channels. Many companies have a list of links/responses for the most common customer issues to expedite the problem solving process. Can I use My Personal Twitter Account for My Business? Unless you as an individual are your business, then it’s really a best practice to keep the two separate. If you have employees, subcontractors, or other agents who act publicly or with your customers on your behalf then again, you will probably want a separate Twitter account. While running multiple Twitter accounts can be a challenge there are tools like Hootsuite to help you manage the process. What Should You Post on Your Twitter Business Account? What types of things should you post on your small business Twitter account? You want to post things that your audience or customer base will find interesting. While you can post some things about you/your company, you want the majority to not be about you. 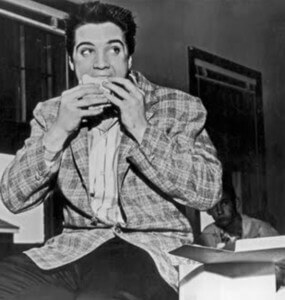 Run a sandwich shop, post interesting news about lunch time nutrition, fun historical information about sandwiches (like how Elvis loved peanut butter and banana sandwiches), or what are some new sandwich trends. Sure you can tweet out your daily special, or whats on sale today, as long as it’s “sandwiched” between other non self interested tweets. Getting more followers for your small business account on Twitter is one of the big challenges many people face. 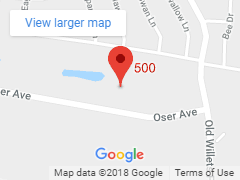 One tried and true method is to connect with your existing customer base. Posting your Twitter name in your place of business and on all of your marketing materials is a good start. Running promotions or discounts that you promote on Twitter is another good start, like a special coupon code you share on Twitter. The second thing you can do is engage with people you want to follow you or are interested in your particular business sector. While you do want to focus on whatever your business is about, it’s ok to have some fun and be a little playful from time to time. 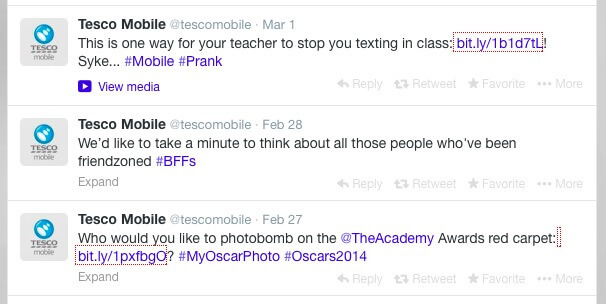 A good example of an account that is business oriented but still has fun is @TescoMobile. So to wrap things up, even if you don’t plan on using Twitter for your business you should at least secure your company/product name. If there are enough of your customers on Twitter it’s probably something you should be using too. Make Twitter part of your in-house marketing efforts showing it in your store, on your business cards, on your receipts, in your newsletter, or other existing marketing material. Realize your customers are going to use Twitter to wire their grievances, think of this as an opportunity to build some good will when you can, and take the angry customers offline. Keep your business and personal accounts separate if possible. Post multiple times per day and engage with other Twitter users if possible. Realize it’s not all work and not all about you, to get the most out of Twitter, and better connect with your customers, you should have a sense of humor, be interesting, and share with your customers and other users. 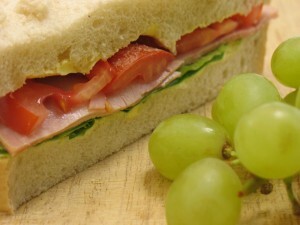 If you enjoyed this post why not read Does My Small Business Need a Facebook Account.